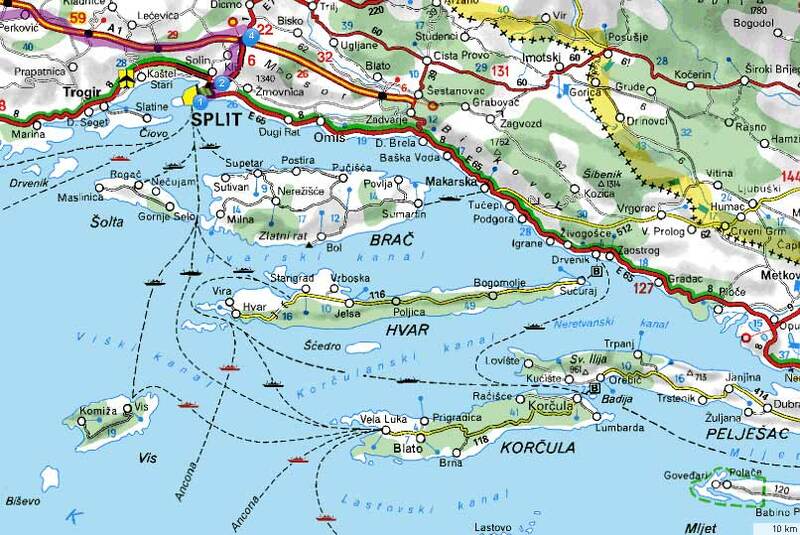 If you are coming from Split, earliest ferry Split Supetar (island Brac) departure at 05.15 in the morning and the last one is at 23.59. Ticket price is ~20EUR for a car, and ~5EUR per person. It take approximately 50 minute to come to island Brac. From Supetar you need to take a bus Supetar Bol or a taxi. Ticket for a bus is 5EUR/person and taxi price is 50EUR (every taxi on the island is Taxi Van for 8 people so no matter how many of you are using it price is 50EUR). If you are alone or just 2,3 or 4 people, soon as you leave the ferry check the first taxi in the line on the right side... you might get a taxi ride to Bol for just 6-7EUR/person if you share it with another people. You don't have to look for other people, taxi driver will try to collect people and make a ride. If you're coming from Dubrovnik, ferry Makarska Sumartin (island Brac) departure only five times a day in peak season. Price is ~20EUR for a car and ~5EUR per person. It take approximately 50 minute to come to island Brac. From Sumartin you need to take a bus Supetar Bol or a taxi. Ticket for a bus is 4EUR/person and taxi price is 40EUR (every taxi on the island is Taxi Van for 8 people so no matter how many of you are using it price is 40EUR).